How the Viva® Vantage® 7-Day Switch Up Changed My Cleaning Game! This is a sponsored post, written by me, on behalf of Viva ® Vantage ®. So, paper towels. If they are going to work in my household, there are a few requirements. They need to be strong, so when I use my foot to wipe something up (*ahemcatbarf*) they don't fall apart. They need to have scrubbing power for the same reasons. It needs to be absorbent, so it can handle the clean up of eleventy-billion spills every day, and it needs to be soft when I need to use one as a tissue. We were using a store brand of paper towels and they worked okay. Not terrible, but nothing to write home about. Then, like magic, an invite appeared in my in-box from the fun folks at Viva ® Vantage ® Paper Towels! "Come meet some bloggers, learn more about the Viva® Brand, and try our Viva® Vantage® Paper Towels," they said! And, of course, I said "yes!" No brainer. Off I went, with all of the messes my family can make dancing in my head, wondering if Viva® Vantage® would pass the test.Viva ® Vantage ® Paper Towels had just been named the 2015 Product of the Year and, as someone who holds awards shows with high regard, this meant something to me. I had prepared myself for the same old paper towels, but I was pleasantly surprised! 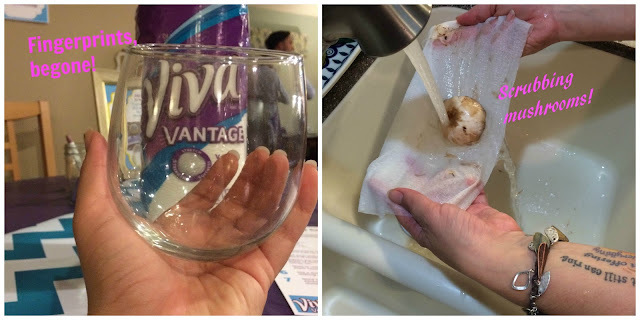 Different stations were set up to allow me to put Viva ® Vantage® through its paces- washing AND drying glasses, scrubbing dirty mushrooms until they shone, and wiping up a spill when I knocked into my water glass (That last one wasn't a station, that's just my life). No disappointments- Viva ® Vantage® powered through! Dirty mushrooms were scrubbed clean thanks to the super-strong V-Flex™ Weave, glasses were washed and dried to a fingerprint-free shine with its sponge-like absorbency, and my spill was sucked up with no problem. Nobody noticed my clumsiness and our hosts counters were in no danger of being scratched up with a rough paper towel. With those early party successes in the bag, I considered taking the Viva ® Vantage ® 7-Day Switch Up. It made sense. I had been using paper towels that were...okay. Why not see if I could switch things up and make my life of mopping spills, cleaning splatters, and scooping cat barf a little easier? I started my Switch Up off that very night and used a Viva ® Vantage® towel to remove my makeup. I don't think the fine folks at the mall makeup counters would have approved, but our bathroom was in the middle of a huge remodel and my makeup remover was alllllllllll the way at the back of the bathroom behind piles of tools. So I eyed the Viva ® Vantage® towel, wondering if I was going to regret my decision. But, a damp Viva® Towel later (no soap, even!) 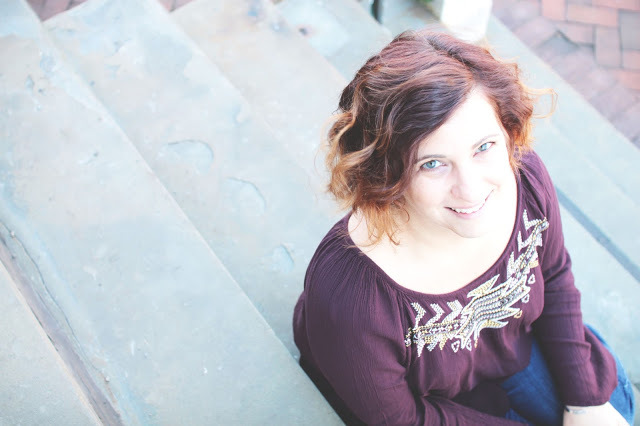 I had clean skin that didn't feel like I had passed a steel wool pad over it! Oh, yes. Viva ® Vantage ® and I were going to get along just fine. The 7-Day Switch Up was on, and over the week that followed, I put Viva ® Vantage® towel through its paces. I used them to rinse, clean and dry grapes for my sons lunches. The towels are so strong, I could use them as a colander! I mopped up spills, scrubbed paint off of my kitchen table, and wiped up layers of dust and grime generated by our bathroom reno. Sauce splatters on the range, dry erase marker on our kitchen white board, and the inevitable cat barf- the messes were powerless to the fantastic scrubbing power of the Viva ® Vantage ®! Their stretchy-strength means that I can rinse and reuse the same Viva® Towel, saving money and waste. And for someone who hates to scrub, the Viva ® Vantage® took our usual scrubbing game to a whole new level. It was just. so. easy! So, we're Viva ® people now! Yup. It didn't even take the full seven days of the 7-Day Switch Up to know that Viva ® Vantage® was a great fit for my messy little family! Now it's your turn to be a Viva ® Vantage ® family! Visit Viva ® Vantage ® and get your coupon so you can get started on your own 7-Day Switch Up! Shake things up by switching out your ordinary products for Viva ® Vantage®! Spend some time using Viva ® Vantage® to clean all the things, and then stop back to tell the fine folks at Viva ® about your experience for your chance to WIN a $100 gift card! This was a sponsored post, written by me and detailing my experience with the 7-Day Switch Up, on behalf of Viva ® Vantage ®. I am mostly paperless except cleaning up uh, dog messes inside. Can't go totally without paper towels for that reason alone.